Econet Wireless launched the EcoFarmer Club which provides farmers with premium farming news, weather forecasts, agricultural commodity prices and a mobile trading and advertising platform which links farmers to buyers at a colourful ceremony today attended by Farmers, business executives and members of the media. 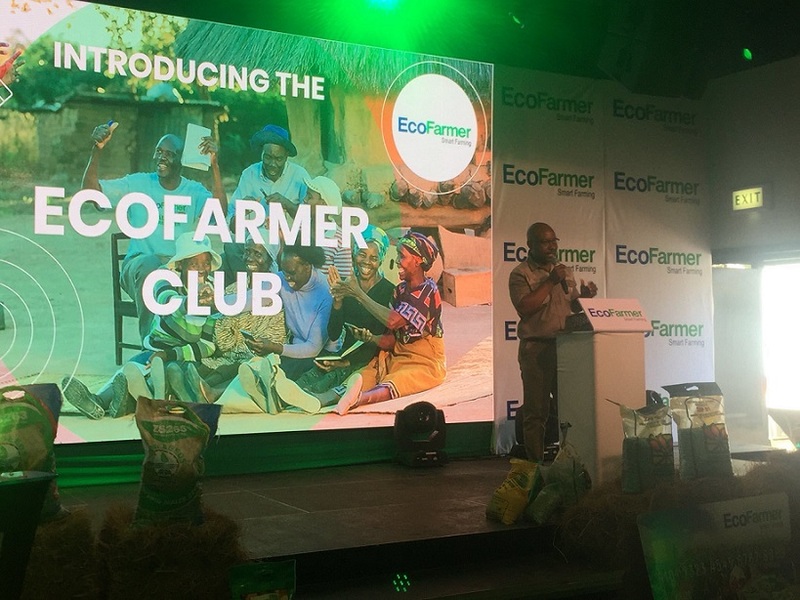 Speaking at the launch of the EcoFarmer Club, Econet CEO Mr Douglas Mboweni reiterated the company’s public commitment to support sustainable local and national agriculture given that Zimbabwe is an agro-based economy. “We are excited to launch this service that will serve millions of farmers and consumers of farming services throughout our country,” Mr Mboweni said. “We always pride ourselves in our ability to use technology to address the needs of ordinary people. The EcoFarmer Club is an example of one such product,” the Econet CEO said. Mr Mboweni said the EcoFarmer Club would come with a transactional personalised EcoFarmer Club Card, which entitles farmers to discounts on vital farming inputs and implements from approved suppliers. Many organisations in the agriculture industry have partnered with Econet on the Eco Farmer Club initiative. Econet Chief Operating Officer Mr Fayaz King revealed this detail at the launch saying Windmill, Agricura, Tanaka Power, Agriseeds, Farm Shop, National Tested Seeds, Graniteside Hardware, Seedridge and Arda Seeds are some of the approved outlets. “EcoFarmer Club members will be able to access seed, fertilizers, agrochemicals, stock feeds, animal health products, farming implements and inputs from selected agro-businesses – such as seed companies, fertilizer companies, poultry suppliers, as well as crop and livestock outlets – at special, discounted prices,” Mr King said. He said the EcoFarmer service, which was originally introduced to the market in 2013, already boasted over one million registered customers on its platform. The company’s Head of Agri-business Ms Caroline Mozhendi described the product in detail urging farmers to join EcoFarmer Club and enjoy several rewards. She also highlighted that there are quality assurance experts and resources to provide research-based information in order to make better decisions.